Playdough. Normally when you hear of "Playdoh," you think of the salty clay that little kids play with. Allow me to introduce you to another type of play dough. The Playdough I am talking about is clay in the potter's hands, and the salt of the world. Not much difference, you say? Well I don't remember the clay I played with as a kid rapping off the hook. The Playdough I'm introducing you to is known from his work with ill harmonics and Deepspace 5. He loves to rhyme, but instead of rapping about the common subjects among rappers these days - women and money - he raps about his lack of wealth and his reliance on God. Playdough has made a name for himself as one of the premier emcees in hip-hop today. In the midst of an industry flooded with jiggy, thug rappers, Playdough offers the life jacket by bringing a fresh style to the art. 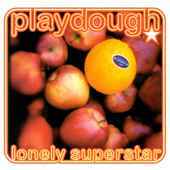 Playdough's debut album, Lonely Superstar was released in 2002. It starts off with "You Will Listen," an acoustic track with the lyrics "We lift up Jehovah Jirah..." comprising the chorus. "Seeds of Abraham" follows With its catchy chorus and dope beats, Playdough explains the blessings of God’s people. 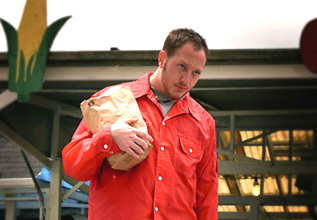 "Soul Brothers," featuring Manchild, contains a tribute to Mars ILL and other Christian rappers. "Quarter Inchin" features a guitar-driven loop again, with rhymes about him being nearly unknown. On Lonely Superstar, Playdough brings the hip hop at its purest form with nice beats, real instrumentation, and thoughtful lyrics. He serves as the album’s main producer while singing some of the hooks and even playing the guitar on some tracks. 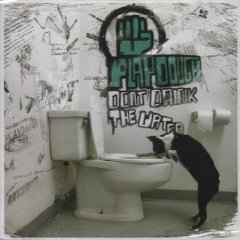 For his sophomore release, Playdough returns to the studio for 7spin Music for Don't Drink the Water (2006). I hosts a 13 track collection of bouncy, bumpin hip hop with intelligent flows and his unmistakable voice. Playdough keeps it real, spiritually and lyrically on this CD.